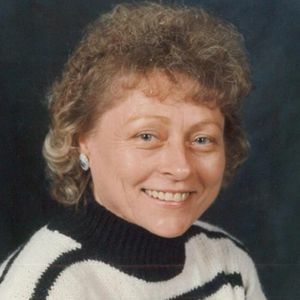 Joanne B. Miller, 79, of Sheboygan and formerly of Beaver Dam passed away on Sunday, April 14, 2019 at her home following a short illness. A memorial gathering will be held at the Koepsell-Murray Funeral Home on Monday, April 22, 2019 from 12 p.m. (noon) until the time of the memorial service at 1 p.m. Inurnment will take place at Oakwood Cemetery in Beaver Dam at a later date. Joanne was born the daughter of Harold and Elda (Lindemann) Kirchoff on September 29, 1939 in Beaver Dam. Joanne dedicated her life to helping others and was employed as a nurse with the Beaver Dam Community Hospital in Beaver Dam for almost 30 years. After her retirement, she continued to be a caregiver to her family and friends. Joanne was a nature lover and made sure to take care of the neighborhood birds, rabbits and turkeys. Joanne is survived by her children: Chris Miller of Sheboygan, Belinda (Paul) Conklin of Milton, and Matthew (Amy) Miller of Greendale; four grandchildren: Sara (Dennis) Weaver of Madison, Sean (Laura) Conklin of Milton, Zachary Miller and Lindsay Miller both of Greendale; great-grandson, Jackson Conklin; her brother, Harold (Judy) Kirchoff of Beaver Dam; as well as nieces, nephews, other relatives and friends. She was preceded in death by her parents; her step-father, Carl Lockwood; her former husband, Dennis A. Miller; her daughter, Jodeen Miller; her sister, Beverly Gibbs; and two nieces, Debbie and Shelly. In remembering Joanne's dedication to her career in hospice care, memorials, in lieu of flowers may be directed to St. Nicholas Home Health & Hospice in Sheboygan. Joanne's family would like to thank St. Nicholas Home Health & Hospice for all their care and support. Add your thoughts, prayers or a condolence to Joanne's guestbook.